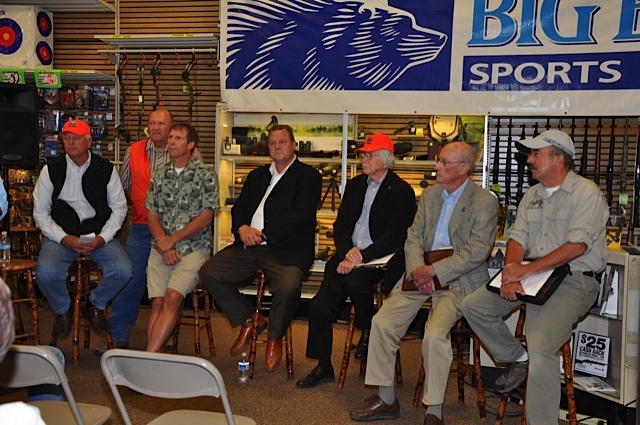 On Thursday representatives from six Montana hunting and fishing organizations gathered at Big Bear in Billings to thank Senator Jon Tester for his efforts and urge him to continue the effort to provide Public Land access. 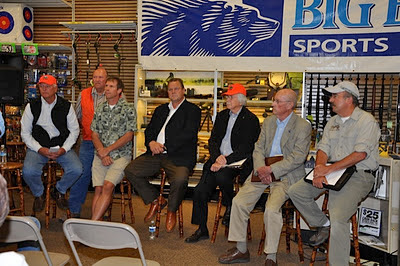 Those organizations included The Billings Rod & Gun Club, Laurel Rod & Gun Club, Magic City Flyfishers, Montana Backcountry Hunters and Anglers, Our Montana and the Public Land/Water Access Association. Sen. Baucus and Sen. Tester re-introduced legislation over the summer to fully fund the Land and Water Conservation Fund (LWCF). Entirely funded from off-shore oil and gas drilling revenue, LWCF has seen significant cuts over the years. In 2010 the fund received $305 million and that translated into $20 million for conservation programs in Montana. Legislation currently being debated in Congress could cut the fund to as low as $66 million, an 80% cut compared to the 2010 fiscal year budget and it would be the lowest amount in the funds’ 45 year history. The LWCF pays for everything from city park maintenance to conservation easements for big game wildlife and hunting access. FOR THIS AND OTHER "HOT TOPICS" FROM PUBLIC LAND / WATER ACCESS ASSOCIATION go to www.plwa.org .